...but we spend our lives trying. By supporting The Racehorse Sanctuary you will be directly helping us provide a Life After Racing through our Rehabilitation, Retraining and Sanctuary Programmes. Over 4000 horses leave the racing industry annually, but sadly, many of them face an uncertain future. 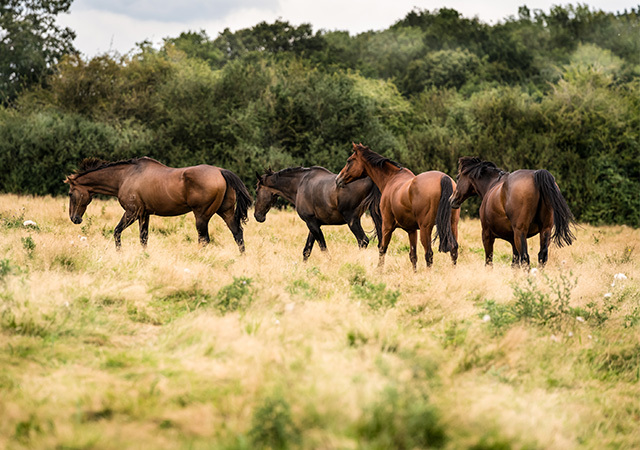 The Racehorse Sanctuary provides a lifeline for such horses; as one of the leading organisations working in this field our work is vital to thoroughbred welfare, as we have rehomed hundreds of horses since being established. It was in 1996 when the great 'Moorcroft Boy' was gifted to Graham that the decision was made by him and Sue create 'The Moorcroft Racehorse Welfare Centre'. This venture grew rapidly and under their guidance over 100 horses were successfully re-homed during the ten years that followed and a reputation was created that was second to none. On leaving, this charity was on a first class footing and capable of standing on its own two feet. When you become a Friend of The Racehorse Sanctuary you help us give an ex-racehorse a second chance in life. click here to become a friend to our horses. Considering rehoming a horse? Why not speak with us today? Minaxi Patel - Chartered Financial Planner of St James’s Place Wealth Management - is proud to sponsor The Racehorse Sanctuary Sandown Park Raceday. Click HERE to read about Minaxi Patel, Chartered Financial Planner of St James’s Place Wealth Management. news about our residents, and much more Click the button below to subscribe.